The Jungle Teacher: Beware When Using Foodpanda Malaysia!! It started in Singapore in 2012 & it is now worldwide. Should be good right? Foodpanda is a food delivery service partnering with local restaurants. Before I used the service, I looked on Google for authentic reviews but I only found blogs which looked very much like advertorials (advertisement-tutorials teaching you how to use a service). All of them ordered from major restaurant chains in the Klang Valley/Singapore & said good things about Foodpanda. Since they're operating worldwide, they should be world-class, right? Read my experience & decide for yourself. Also, the nature of her work is stressful. Something to remind her that she is loved & fill her belly would help her to soldier on. The problem is I'm in Kuching & she's in PJ. Thus, my decision to use Foodpanda. I downloaded the iPhone app, registered an account, booked 2 desserts & paid for it via credit card. In the "Comments", I said that it was for my girlfriend & not for me. Ordering was easy enough. Suddenly, I received a phone call from Foodpanda saying that there was something wrong with the credit card payment & I had to book again. I wasn't very pleased but I booked again. 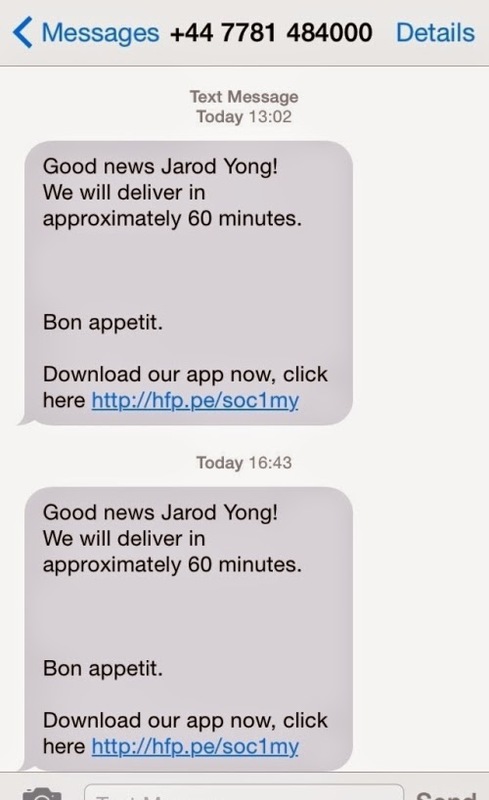 This time, I got an email receipt & an SMS from Foodpanda promising delivery in approximately 60 minutes. It was perfectly fine because the desserts were non-urgent. & the second one after dispatch collected my order from the cafe. I called their number at 15:47, the operator was very friendly & polite. She promised to check with dispatch & get back to me. I waited for the call. There was none. It was getting really close to the end of the day so I called again at 16:13. The operator said that dispatch was facing some problems with traffic & many orders (truth?). She promised the delivery as soon as possible. This was not good enough for a global service! I was fuming! At 16:36, dispatch called me to inform that both desserts I ordered were unavailable. I told him to give me other desserts of the same value. At 16:40, he called again to inform me that the restaurant did not have many desserts that day. 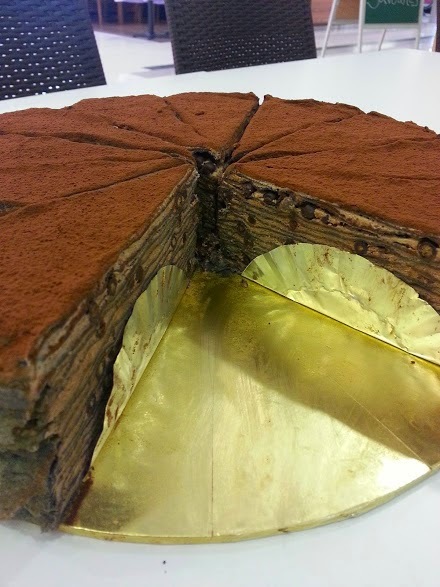 The best that they could do was deliver a Chocolate Mille Crepe (RM15) & refund the rest of the money (RM5). That was fine. At 17:30, my girlfriend called & said that the cake had arrived but not the expected change. She asked dispatch for the change but he said that there was none. Fearing that dispatch had helped himself to my RM5, I called Foodpanda again at 17:34. I was put on hold. I hung up & called again. This time I waited & listened to the recorded message espousing how important I was & how wonderful Foodpanda was. I hung up & called again. This time I waited even longer until the recorded message ran out of things to say & started playing elevator music. I stopped for a while, started this blog post & called again at 17:43. This time I got through & I explained the situation to the operator. She was polite & promised to get back to me. She called me back at 18:19, explaining that the Balance + Service Fee = RM8 will be refunded to me in 3 working days to my credit card account. It was a relief to find that dispatch did not run off with my money. A refund was processed 2 working days after the incident. I really don't have much confidence in the company any more. Will I use their services again? No. Will I recommend it to others? No. Train your staff (operator & dispatch) to listen when the customer is speaking, be composed & speak calmly. At the end, don't be in a hurry to end a phone conversation. Calmly ask "is there anything else I can help you with, sir?". Say "thank you & have a great day" before hanging up. Honour your promised delivery time. Approximately 60 minutes = 50-70 minutes. If there are delays, CALL THE CUSTOMER IMMEDIATELY & HAVE A COMPENSATION PLAN READY!!! Allow restaurants to update their menu so that unavailable items are not offered online. Provide order tracking details via your app so customers are informed about the progress of their orders. They'll call you less too. If there are too many orders, have more dispatchers during the peak hours. Common sense!!! The App was easy to use. Payment was easy. Restaurants were mostly established franchises. Have a contingency plan. It took 5.5 hours for my delivery. I don't know how long it'll take yours. Don't be shy to call Foodpanda with concerns because their operators have been polite & friendly to me. Be nice to them. 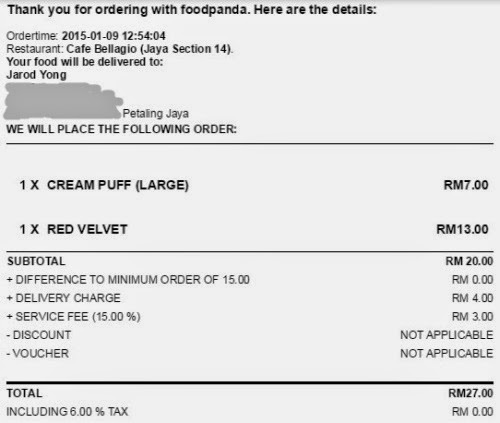 Call the restaurant before you book with Foodpanda. Some of the items on the menu might not be available on particular days. A Foodpanda rep sent me an excellent apology email noting what I have written here & compensated me with a token.